PXL770 is advancing into Phase 2a development for the treatment of NASH. In a Phase 1a study, PXL770 exhibited good safety, tolerance and pharmacokinetics after single administration up to the highest dose tested. PXL770 exhibited a favorable safety and pharmacokinetic profile in the Phase 1b part-study that included a multiple ascending dose (MAD) trial and a drug-drug interaction study. PXL770 was well tolerated up to the highest dose tested and there were no serious adverse events or adverse events leading to withdrawal. 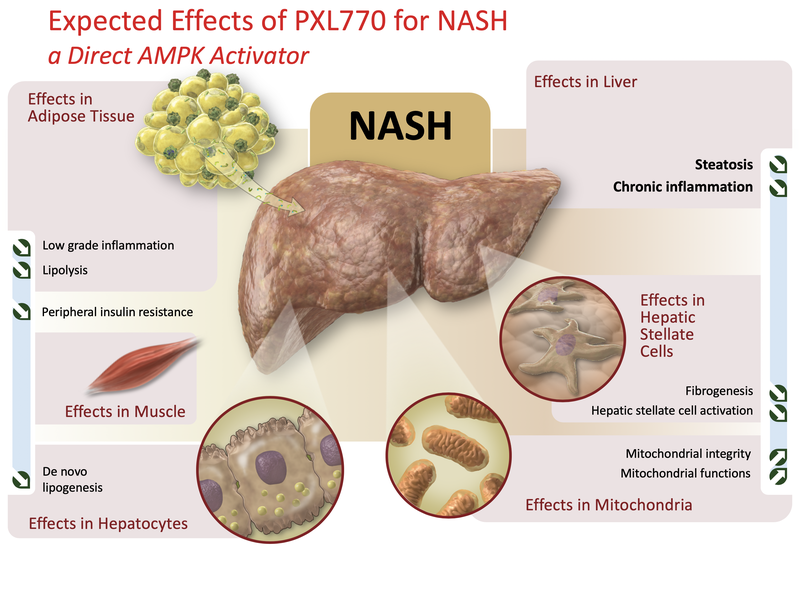 PXL770 has the potential to be studied in several metabolic disorders, including liver disease, such as NASH. Having successfully completed the Phase 1 trials with favorable results, we anticipate initiating a Phase 2a clinical proof-of-efficacy study in patients with NAFLD/NASH in early 2019. This study will include 12 weeks of treatment with a primary endpoint of change in liver fat mass based on MRI-PDFF. We are also considering additional proof-of-concept studies in other metabolic indications. 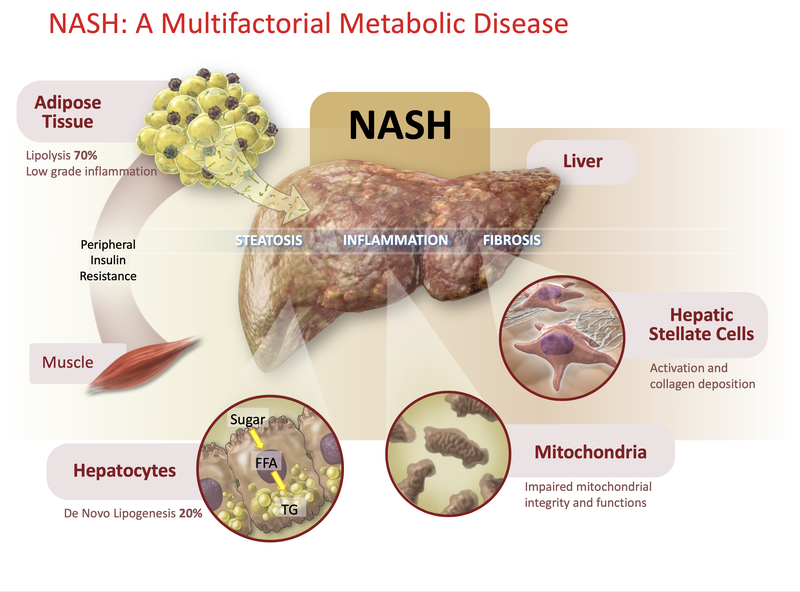 PXL770, as a first-in-class novel mechanism, provides a unique opportunity for patients with chronic metabolic disorders, including NASH.